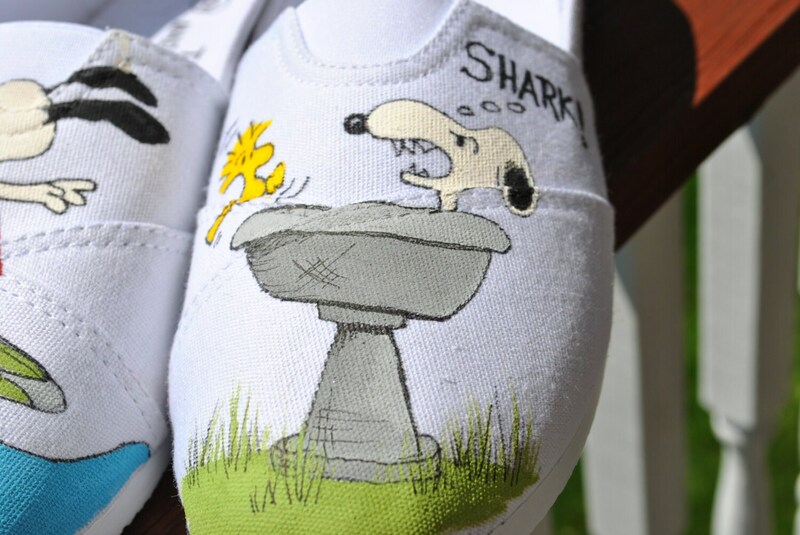 Funny Snoopy and Woodstock Hand painted sneakers size 8. 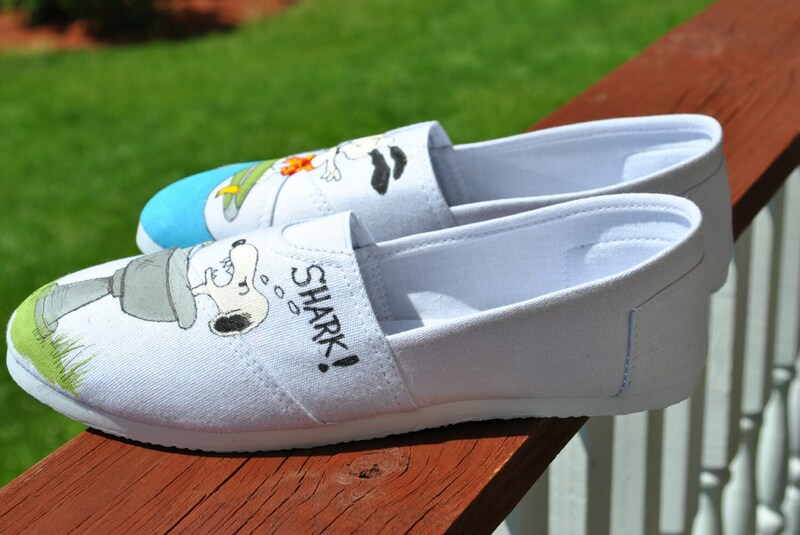 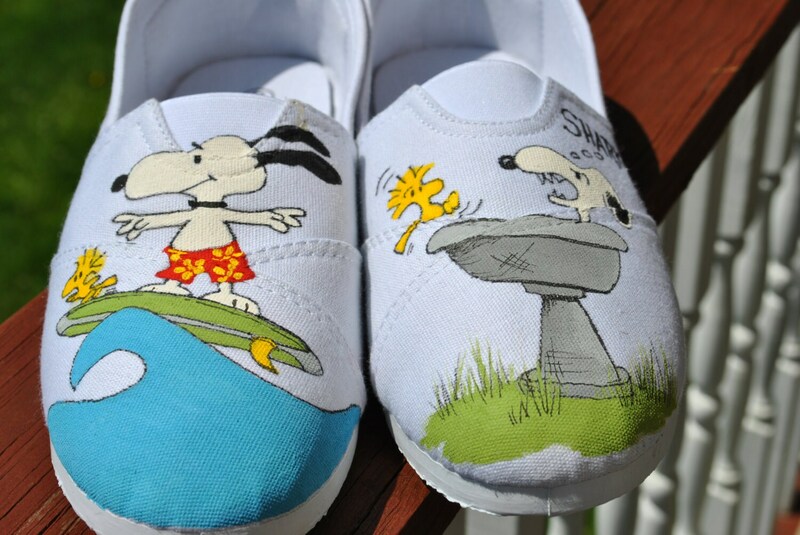 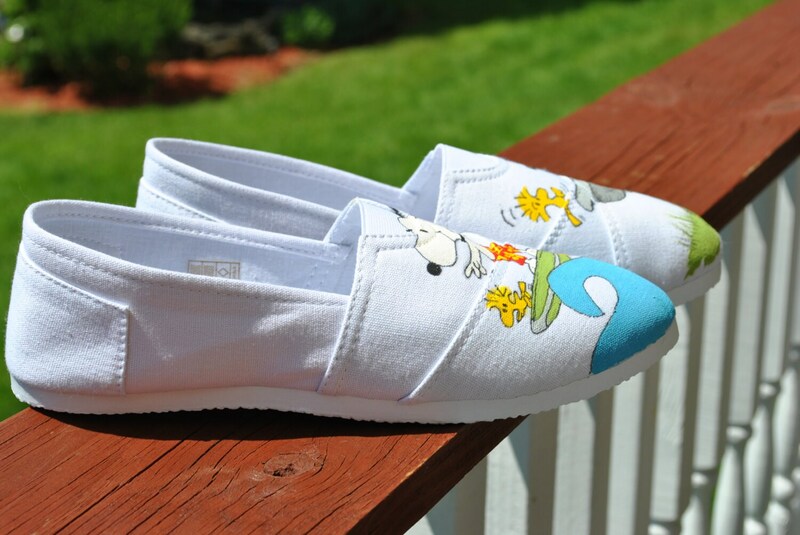 If you like snoopy or Woodstock these funny and cute sneakers are for you. 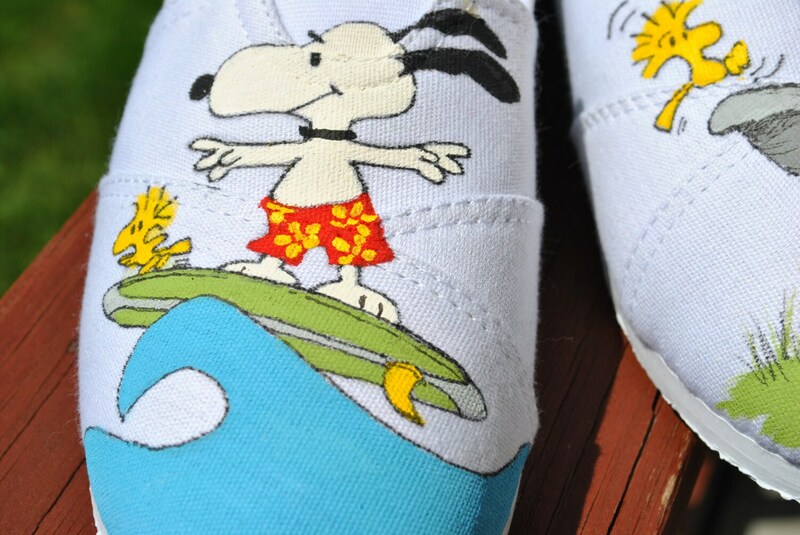 Snoopy having fun in the water are and ready for summer wear.